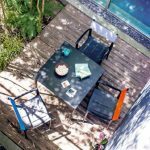 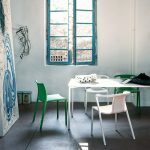 A collection of seats, easy chairs, stools and tables that are lightweight, easy, stackable, and perfect for outdoor use, but also ideal in a number of indoor settings. The design of Striped features a combination of rigour and poetry, typical of the style of Ronan and Erwan Bouroullec. 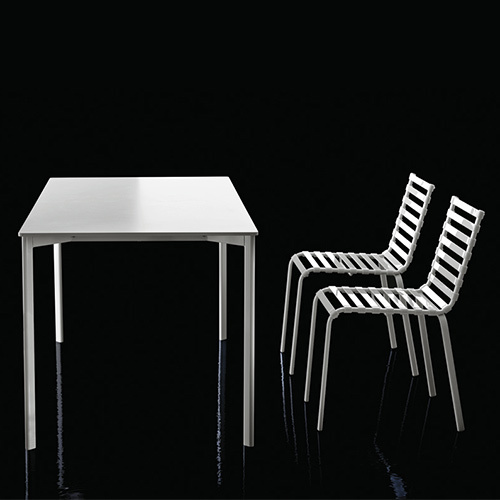 The polyamide slats in the chairs evoke a seventies feel, perceptible in their lines and in the plastic material used, and they blend essential aesthetics with excellent comfort.